Today I had my last parent/teacher conference. I am so happy they are over and that I will not have to do them for a long time. The best part was what I found out about one of my favorite students. 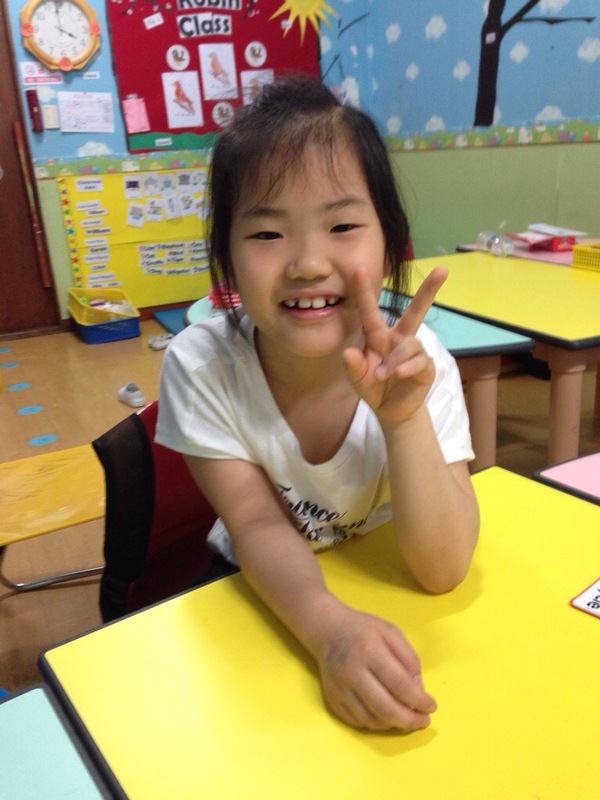 She is in my ESL class and the cutest kid ever. Her mom told me that she LOVES my class. She told me that her daughter rides the bus everyday a long distance just to come to my class. Apparently, this student told her mother that she could be taken out of all her other hagwons (art, piano, math…) but not CIS because she loves it so much. I love this girl.